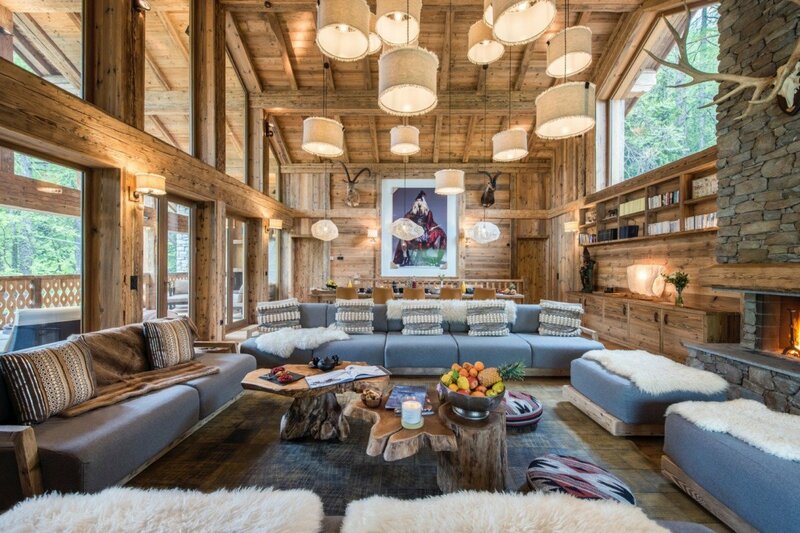 Chalet Inako, Val d'Isere, France. 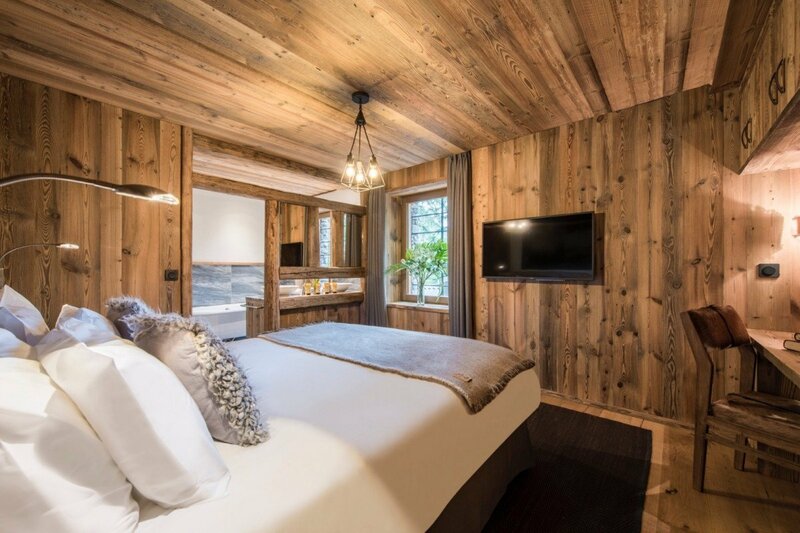 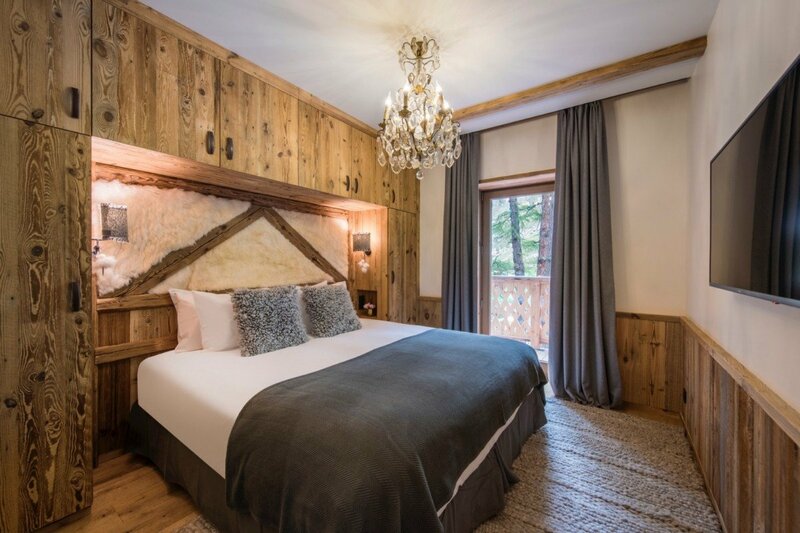 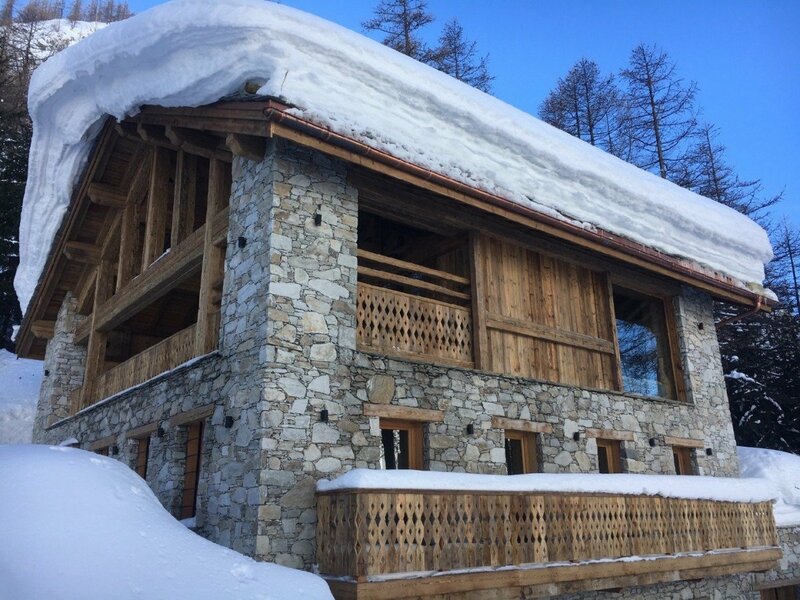 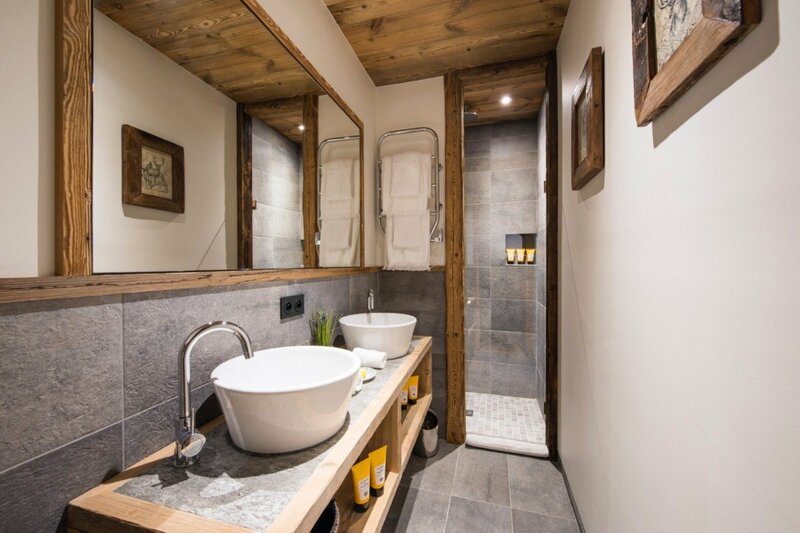 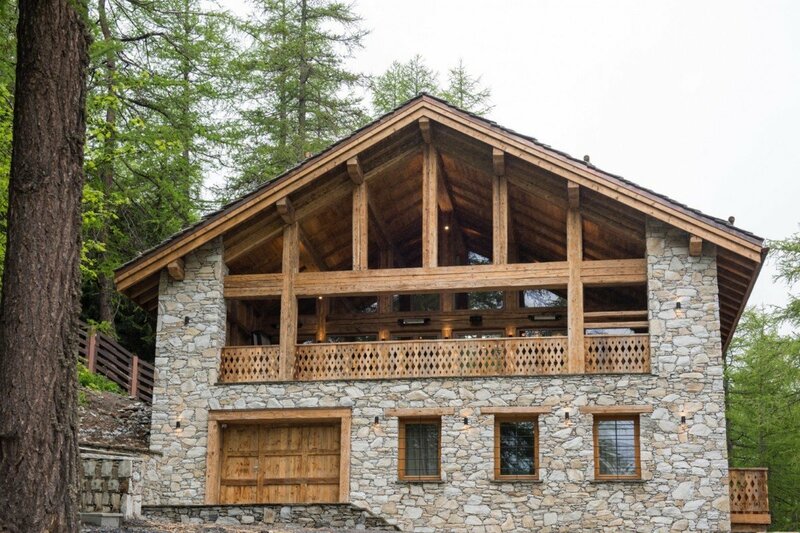 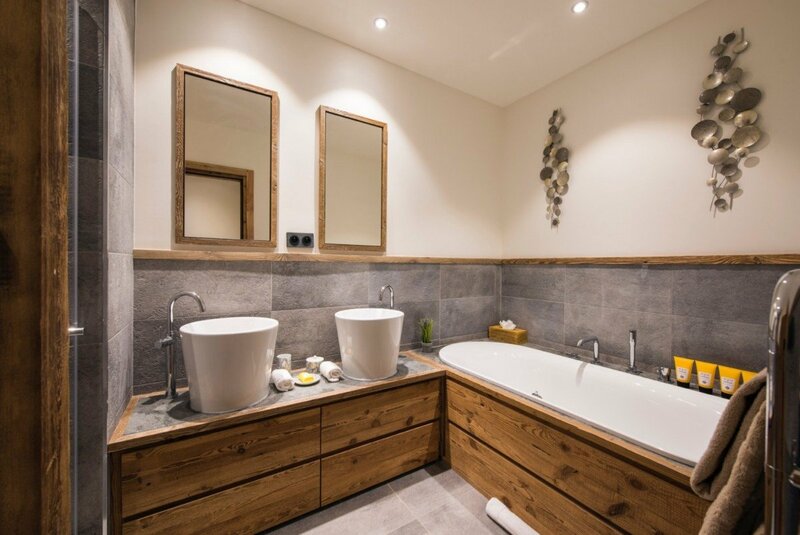 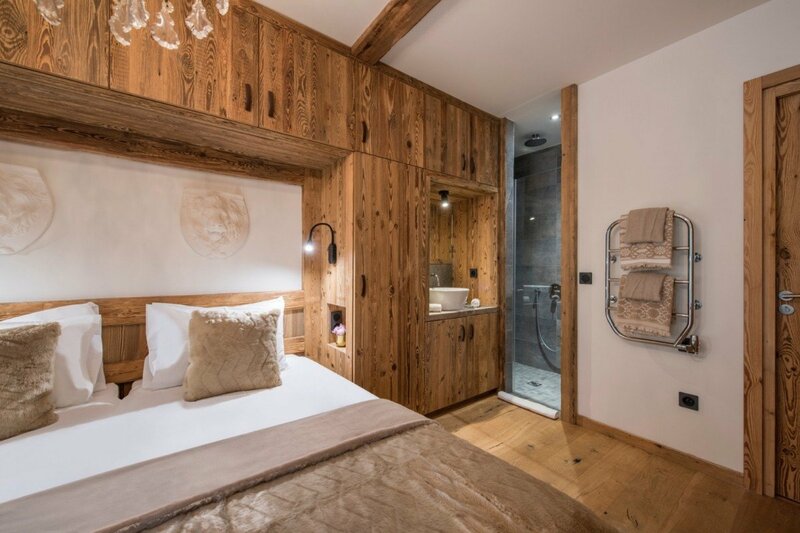 The newly built Chalet Inoko blends in perfectly with the surrounding properties of the Val D’Isere area. 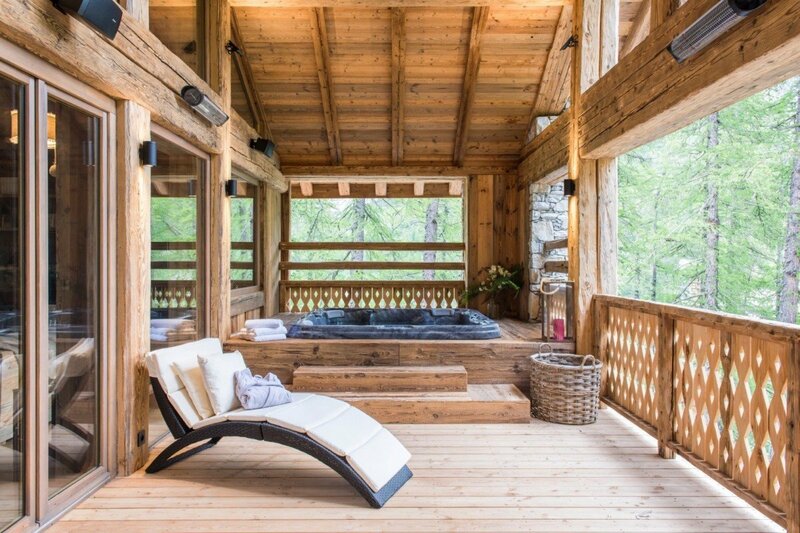 Carefully designed to offer every possible luxury and service, it is the end result of careful consideration by expert architects and landscape designers. 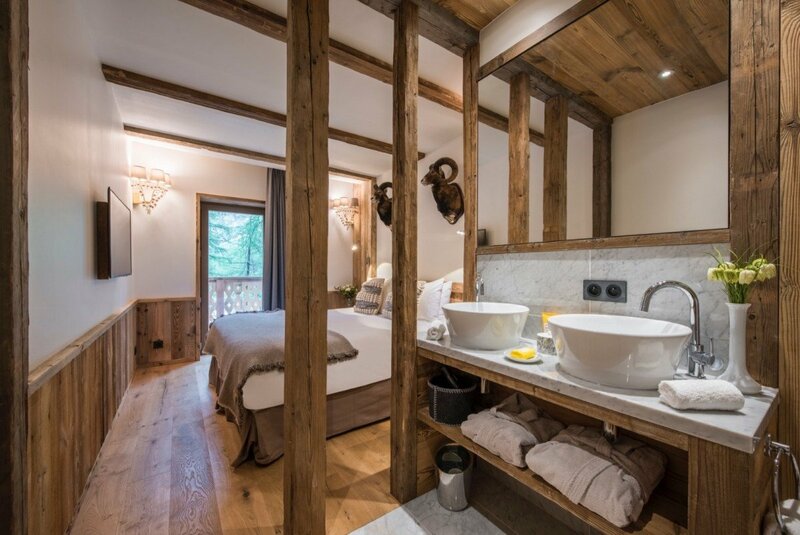 Perched right at the edge of the forest, and yet overlooking the stunning, panoramic scenery of the region, it is described by some as a fairytale styled retreat. 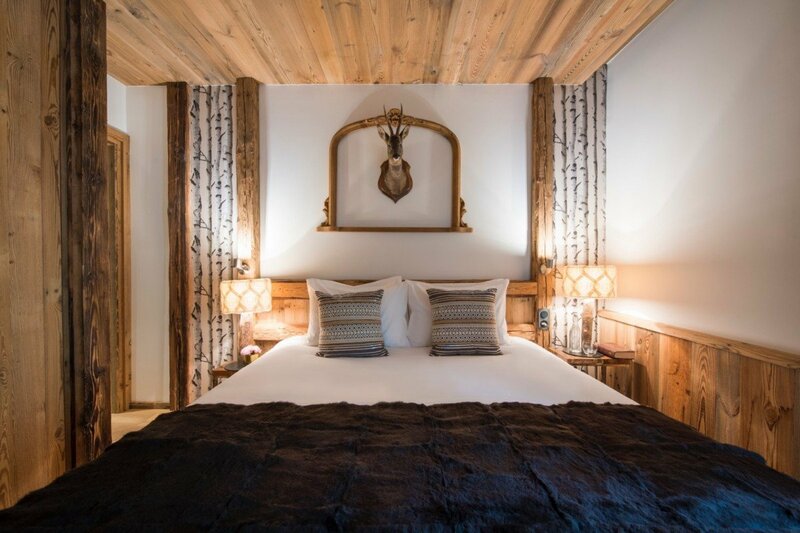 You may begin to feel regal and royal as all of your needs are met by an attentive household staff that includes a butler, private chef, driver, ski instructor and housekeeping team. 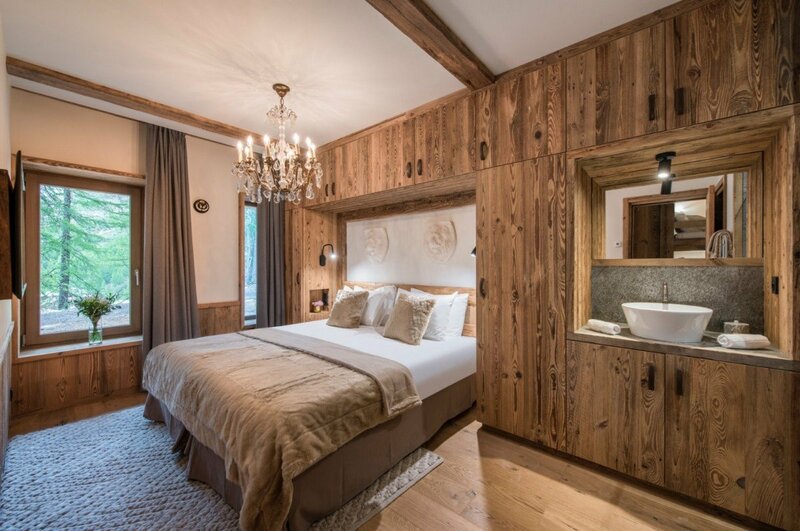 Enjoy daily breakfast service, and pop back for a refreshing afternoon tea each day. 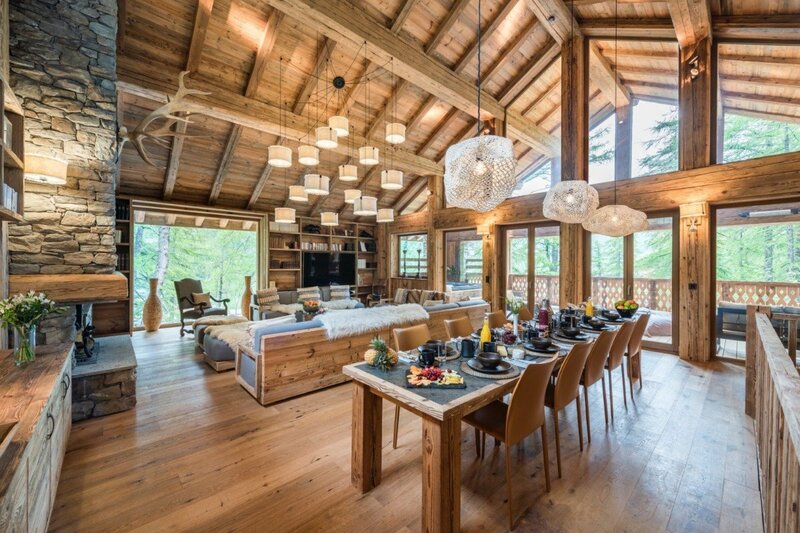 In the evenings, you can get things off to a good start with cocktails and canapes followed by your gourmet four-course dinners. 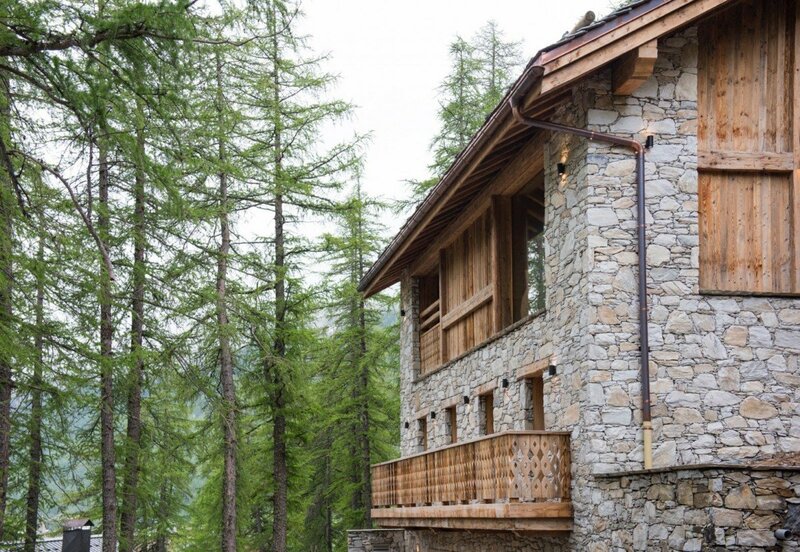 The chalet itself is a place you will yearn to retreat and recharge. 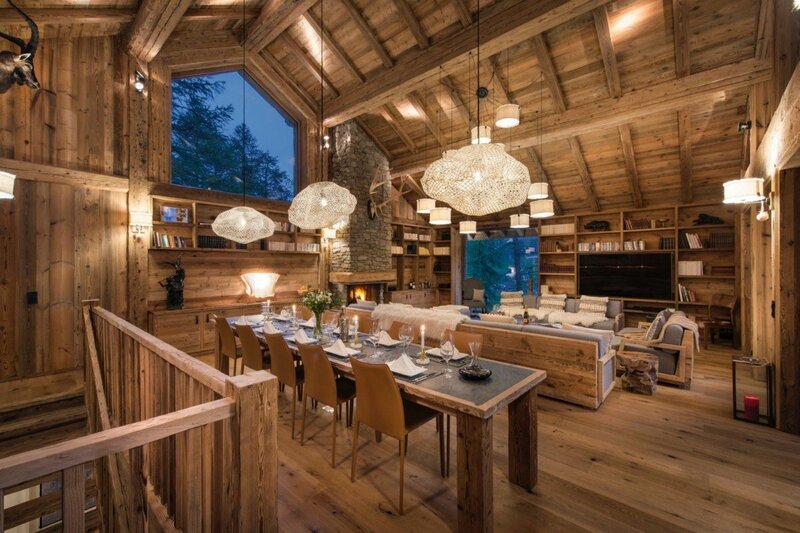 Built of stone and wood, it is a visually appealing property, and it offers an abundance of shared and private spaces. 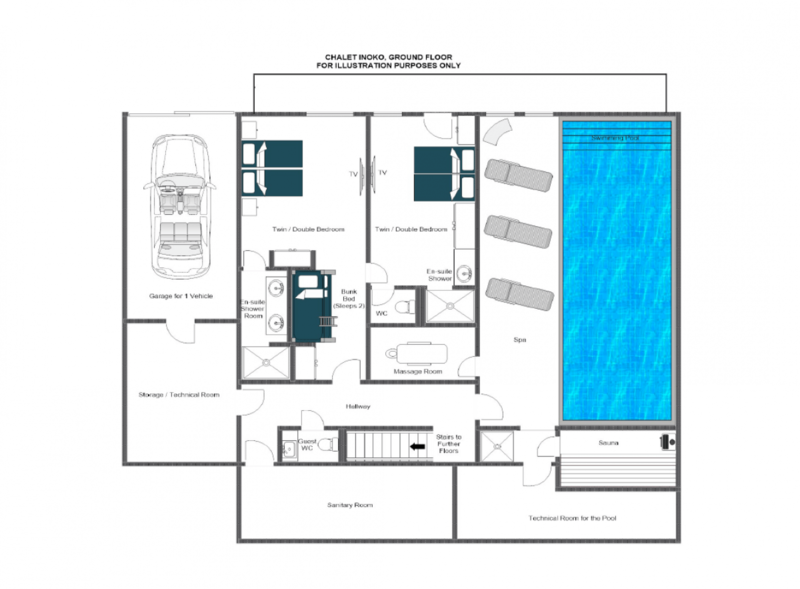 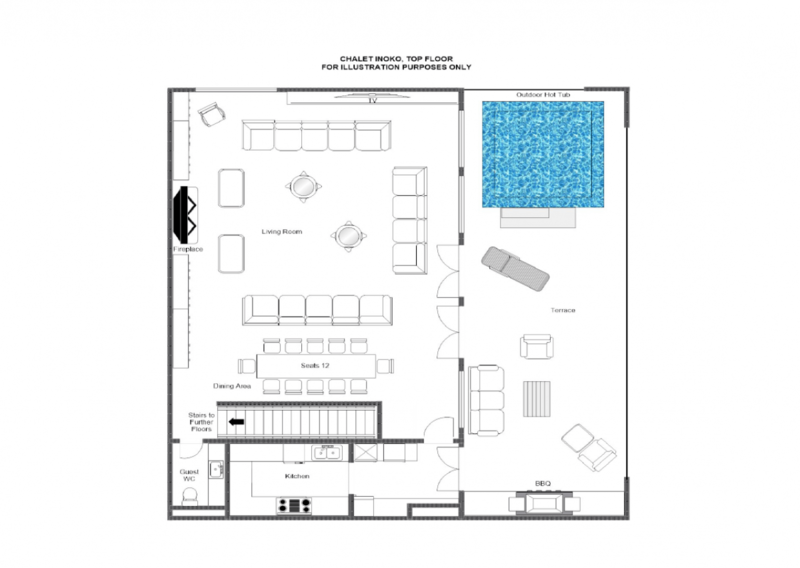 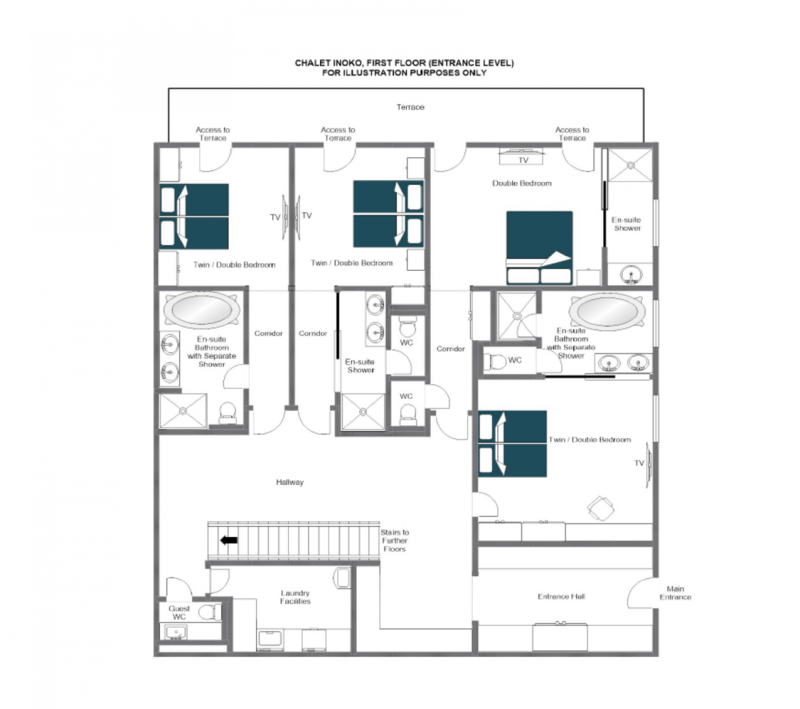 The top floor is where you find the great room, dining room and enormous terrace with outdoor hot tub and lounge space. 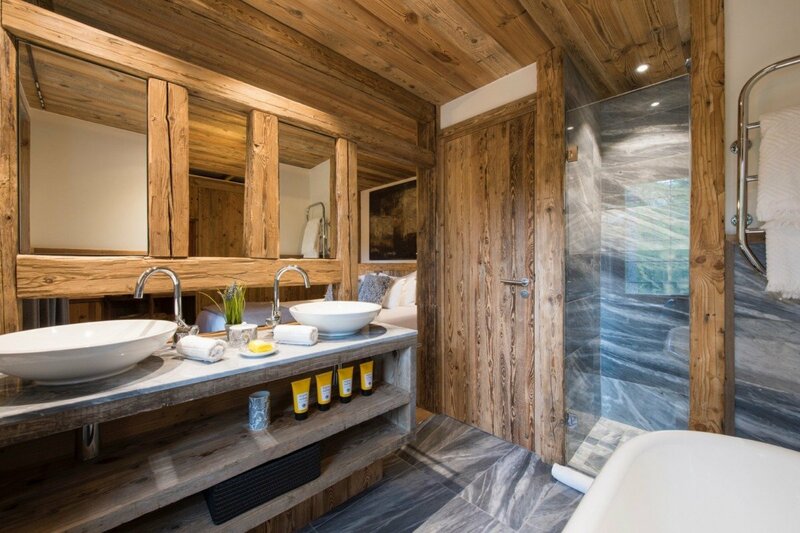 Designed with elegance and a soothing sense of nature in mind, it features a lot of native wood, stone and natural materials. 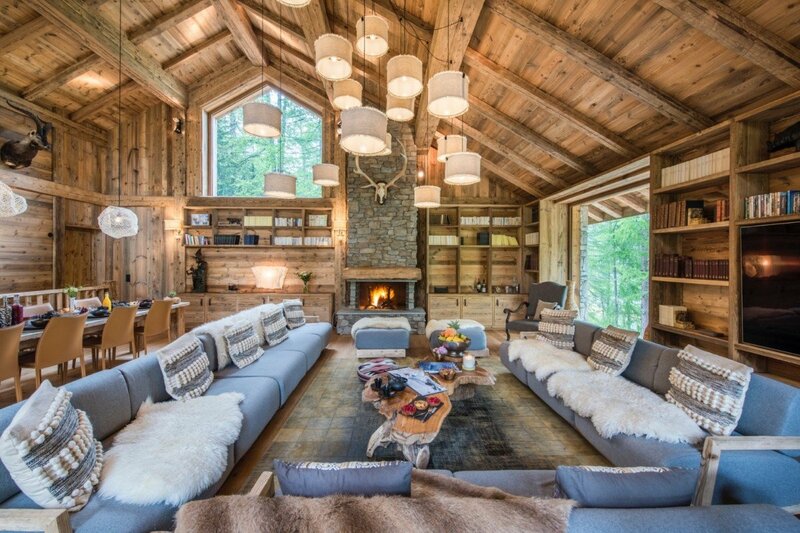 Immense banquette sofas frame the fireplace and lounge area, with the dining suite nearby. 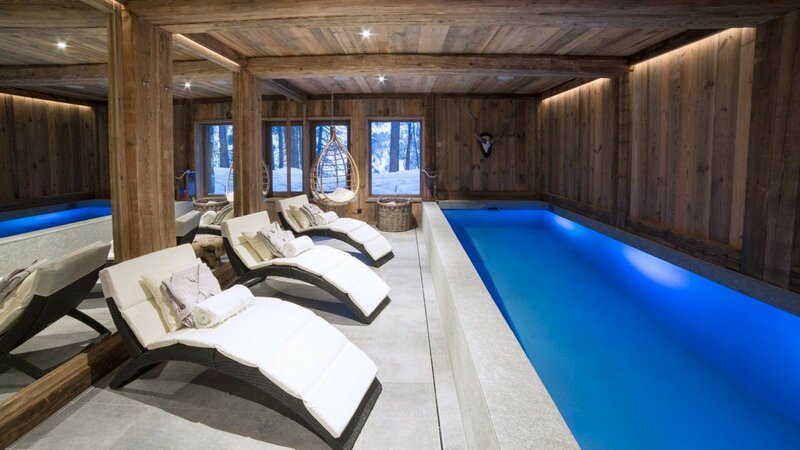 Of course, it is probably the ground level that will earn your adoration for its large, indoor pool and spa treatment areas. 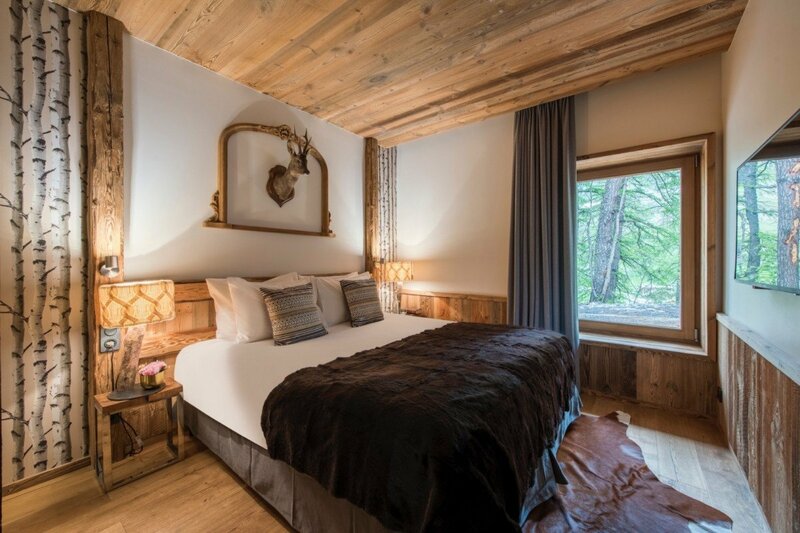 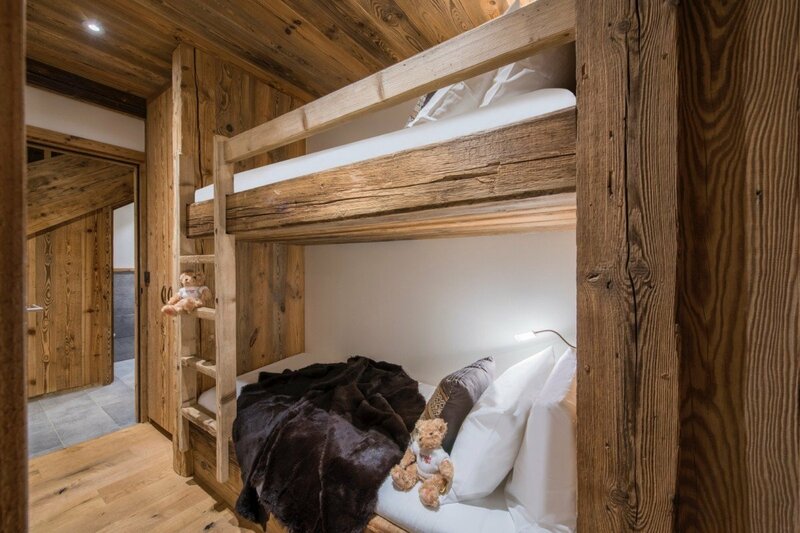 Then again, the comfort and luxury of most bedrooms is apt to make all guests really love the chalet. 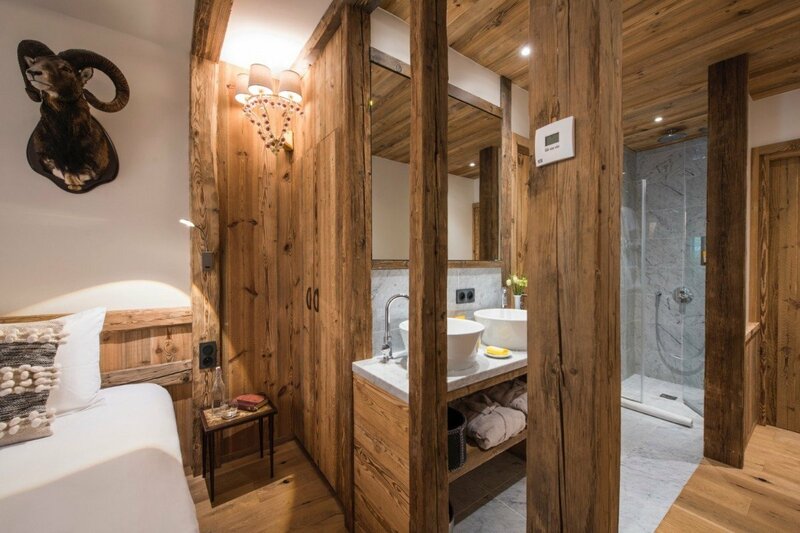 Divided between the first and ground floors, they include mostly king and double suites with access to terraces, or featuring dressing rooms, and all offering large, private baths. 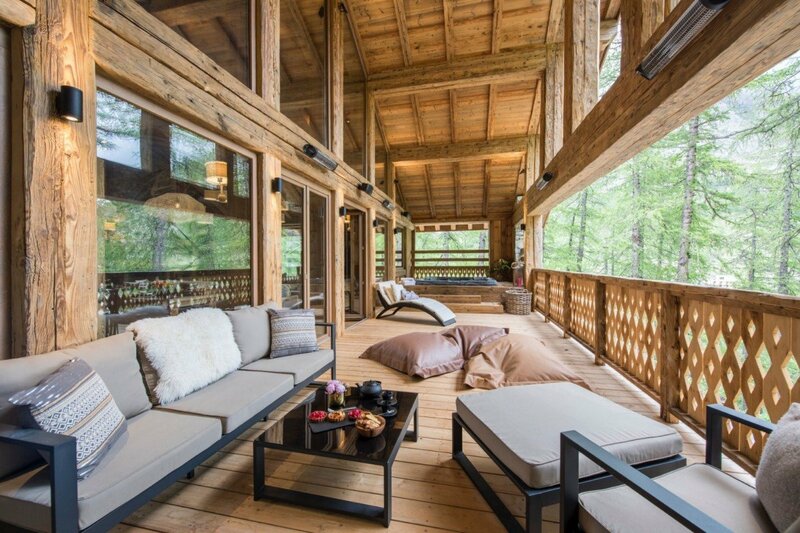 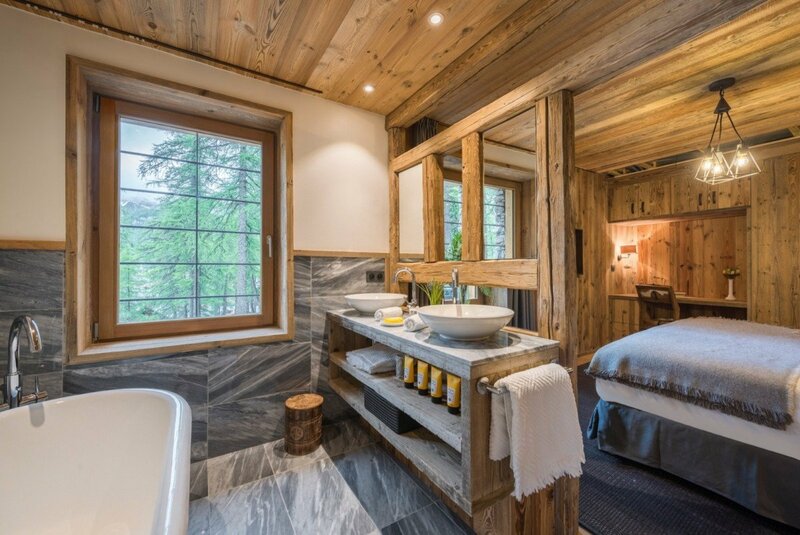 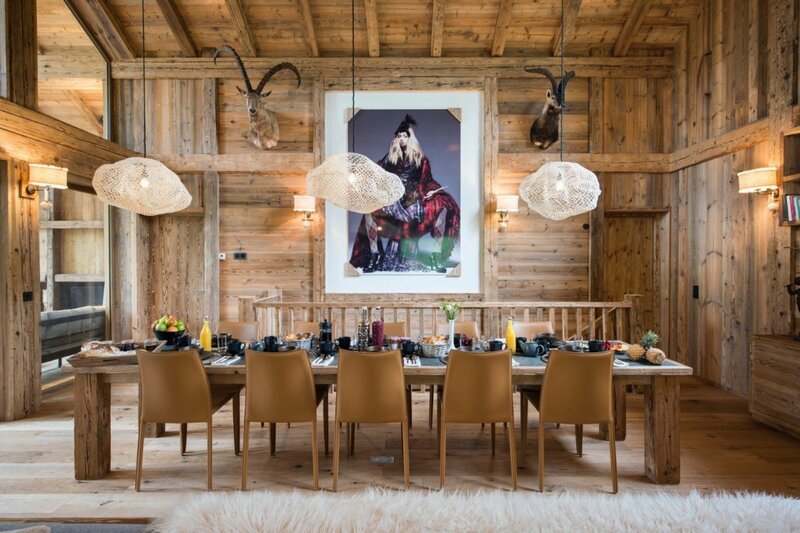 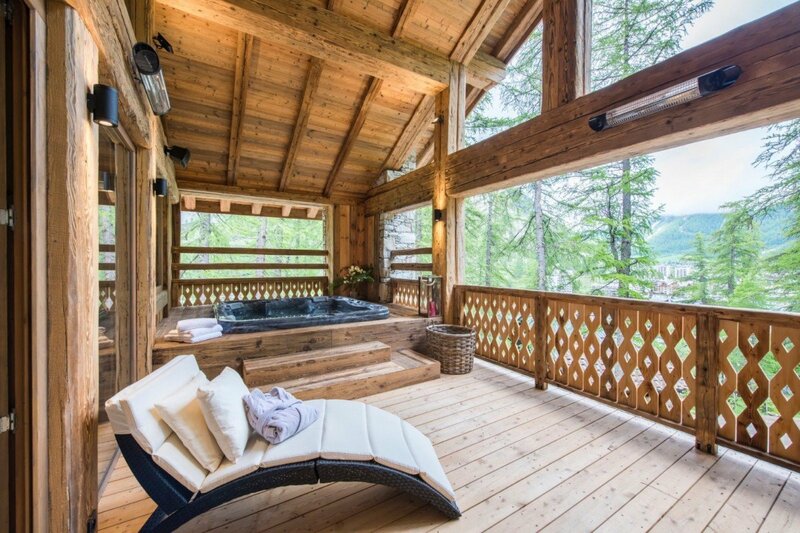 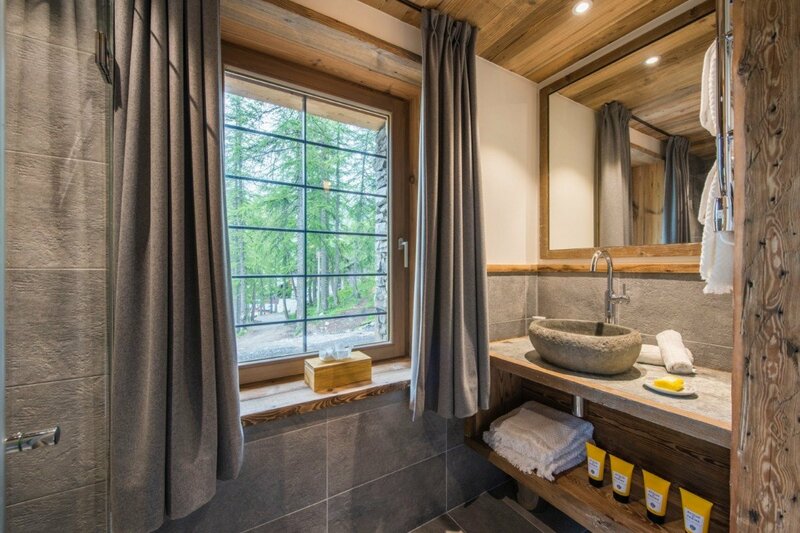 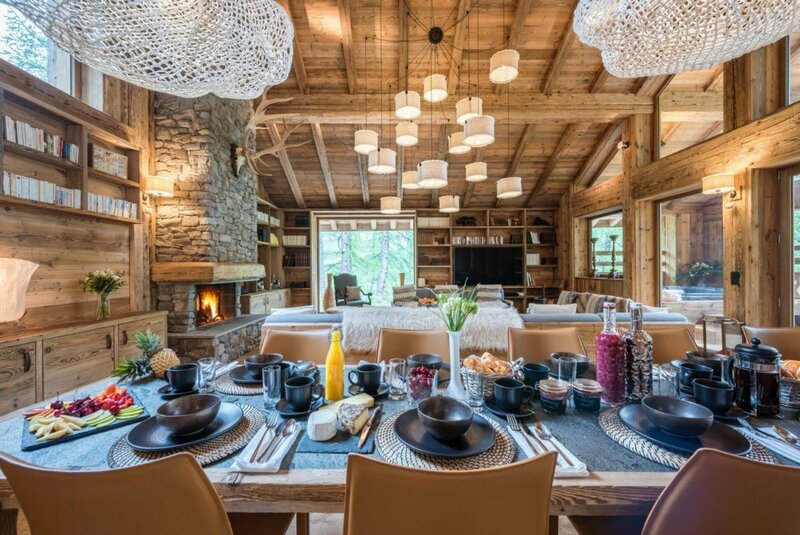 Perfect for a family group of friends enjoying a luxurious ski vacation, the Chalet Inoko manages to combine home-like comfort with top of the line luxury. 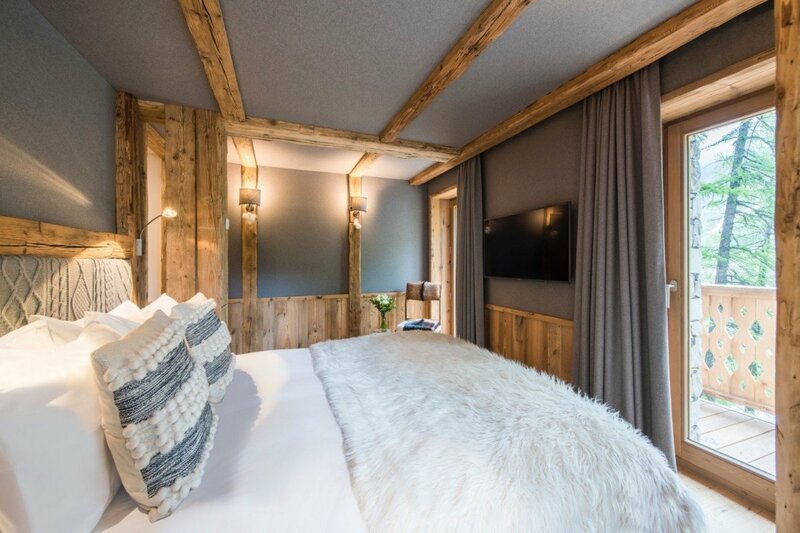 Winter rates include: Dedicated chef service for daily breakfast and afternoon tea, four-course-dinner and pre-dinner canapés served with Champagne on 5 evenings (early dinner for children), finest election of house wine with dinner, beer and soft drinks, twice daily housekeeping services with a mid-week bed, bath and pool linen change, turndown service on 5 evenings per week, in resort 24/7 chauffeured van, chalet manager and host(s). 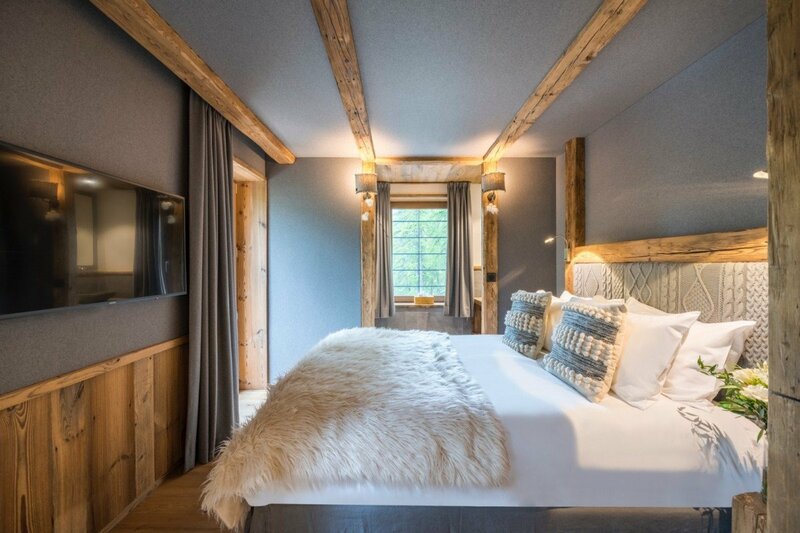 In season, complimentary ski instructor for the first two days of your stay.